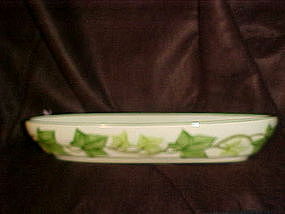 Vintage Franciscan ivy 10 1/2" oval relish dish with the green rim trim. Made in California. Pristine condition.